Pax East, a convention for computer-, table top-, and video- games ended last Sunday in Boston. What we saw there was some more footage from Ocarina of Time 3D, a few performances featuring Zelda music, and some great cosplay. In the video below, we get a decent look at the aiming system towards the last minute of the video. While I may not want to be flailing my arms around on the bus, it is still quite cool, and I can’t wait to try it out. This piece, performed at PAX, is a fantastic medley featuring a beautiful orchestration from a small ensemble of musicians. The classical guitar really stands out here, and it creates a really fun style that replaces the harp from the traditional playing of this song. The crowd goes nuts for Saria’s song about halfway through the video, and the addition of a saxophone really makes this piece fun to hear. The last piece is Gerudo Valley, and the huge rhythm section and the solo flautist are what make this rendition stand out from the rest. 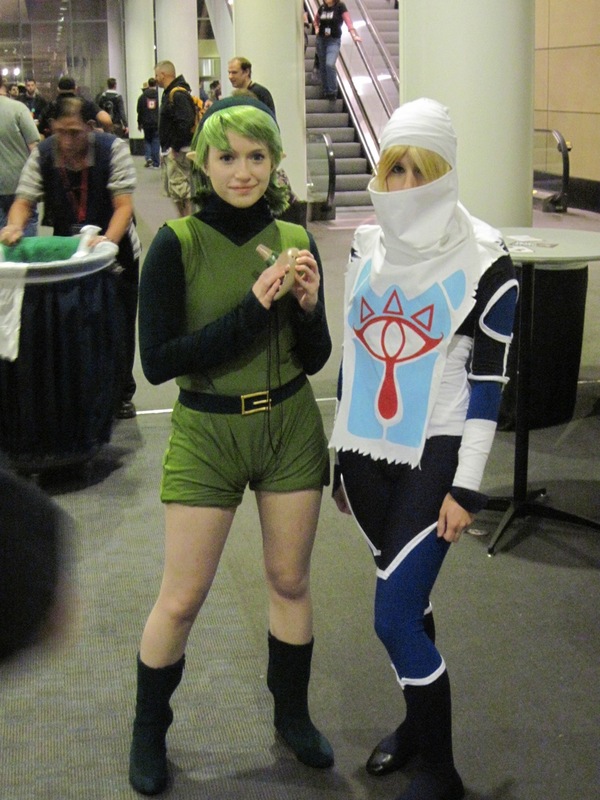 Lastly, here’s a great cosplay from the convention. Rather faithful to the original design, wouldn’t you say? Let us know your thoughts of the convention in the comments.